The TWA Hotel’s 1958 Lockheed Constellation “Connie” hovers over the donation site. A new Jamaica Bay shoreline is born with clean sand from the TWA Hotel. The TWA Hotel has delivered a bundle of clean sand — 74,000 cubic feet, to be exact — to the National Park Service for the Spring Creek South Storm Resilience and Ecosystem Restoration Project. The sand was excavated by Turner Construction Company and Urban Foundation Engineering to build the hotel's 50,000-square-foot events center. 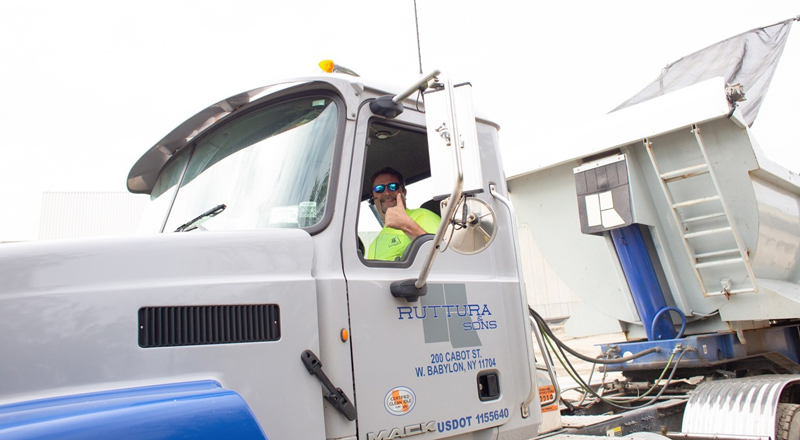 Ruttura & Sons transported the 4,000 dump trucks worth of sand to Spring Creek Park. 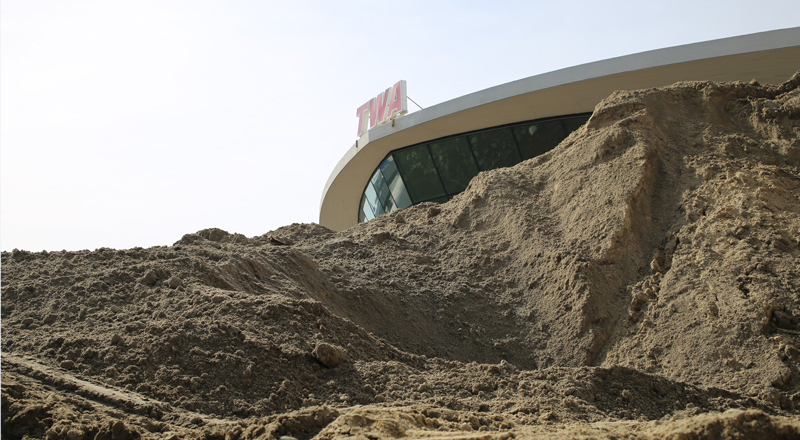 The sand was excavated in 2017 to build the TWA Hotel’s events center. Valued at approximately $5 million, the sand will help stabilize Spring Creek Park — a wildlife refuge in the Gateway National Recreation Area along the Jamaica Bay shoreline — to reduce the risk of storm damage and flooding in Queens’ Howard Beach neighborhood, which was devastated by Hurricane Sandy in 2012. 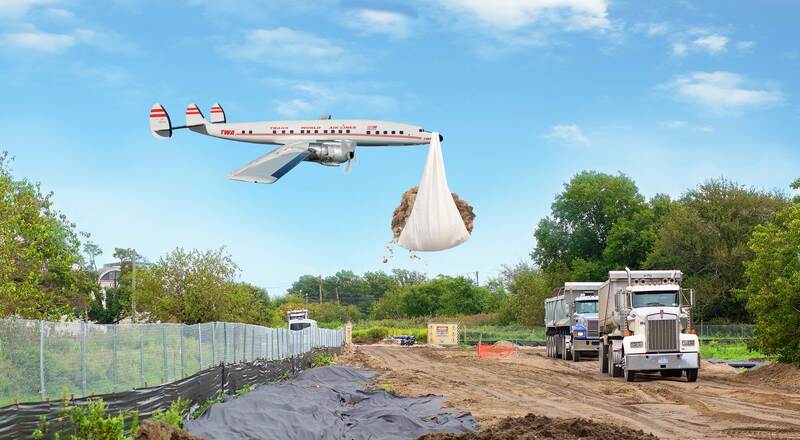 Teams loaded the sand from its JFK Airport storage spot and trucked it to Spring Creek Park. In addition to stabilizing sediment at the shoreline, the Resilience and Ecosystem Restoration Project will create a protective berm and restore more than 225 acres of wetland and coastal forest, home to great blue herons, egrets, red-winged blackbirds, pheasants, mallards, deer, raccoons and muskrats. 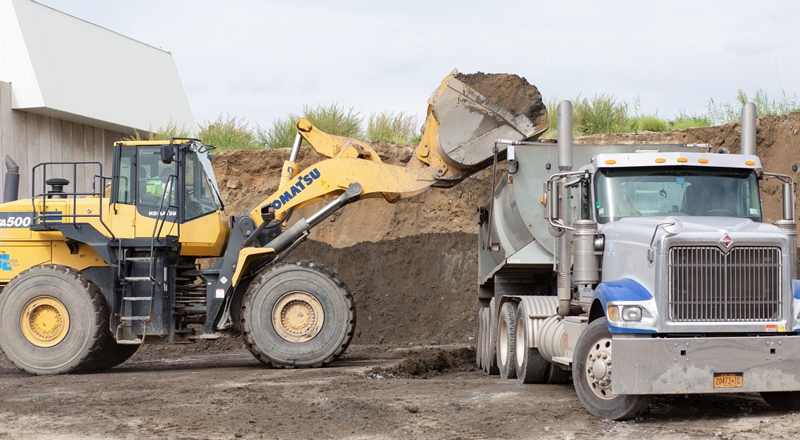 Ruttura & Sons contractors transported the sand to Spring Creek Park. The Federal Emergency Management Agency (FEMA) awarded New York State’s Department of Environmental Conservation a $69.1 million Hazard Mitigation Grant Program for the project, which will begin as soon as FEMA provides approval. Turner Construction Company and Urban Foundation Engineering excavated the sand. 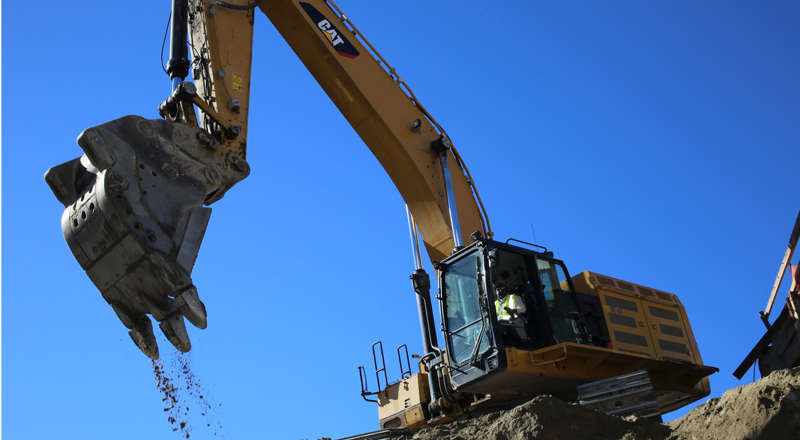 “This donation of sand greatly defrays the total cost of clean sediment that is required by this resiliency project, saving millions of dollars of the public’s money,” says Jen Nersesian, Superintendent of Gateway National Recreation Area. 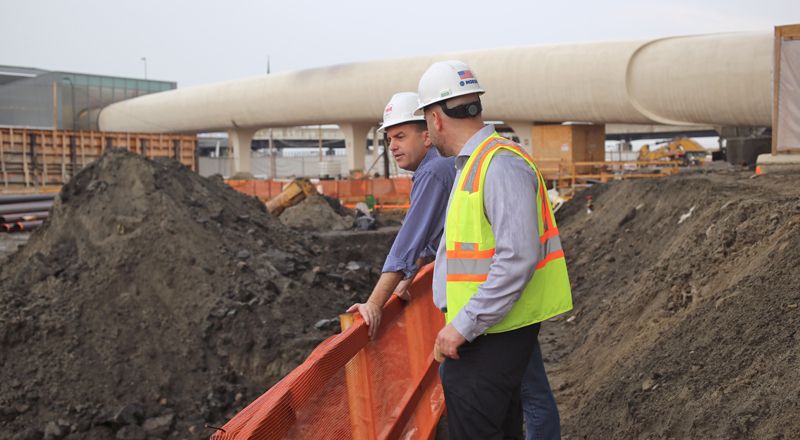 Tyler Morse, CEO of MCR and MORSE Development, and Jason Garone, VP, Construction, surveyed the sand in 2017. TWA Hotel’s 50,000 square feet of event space holds up to 1,600 people.